My Crudoodles Have Been Featured! I am so over the moon thrilled and excited! 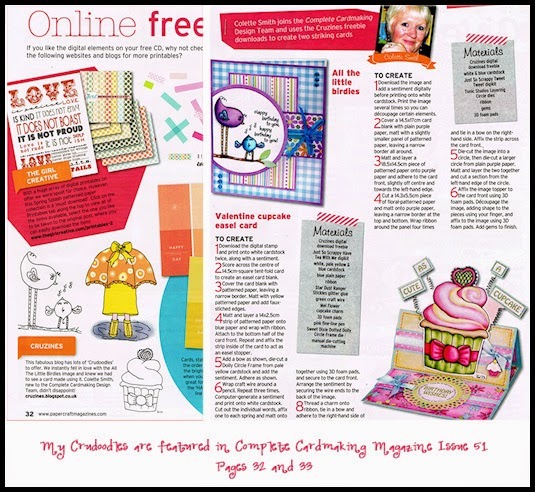 My Crudoodle Free Digital Stamps have been featured in the current issue (#51) of Complete Cardmaking Magazine! Thank you so much! Oh look! They have selected three of my favorite Crudoodles to display on Page 32! Are they your favorites too? And see what card designer, Colette Smith has done with them.. Oh my! Such beautiful cards! I have loved sharing my little Crudoodles with all of you and it’s wonderful to know that others are enjoying them too. 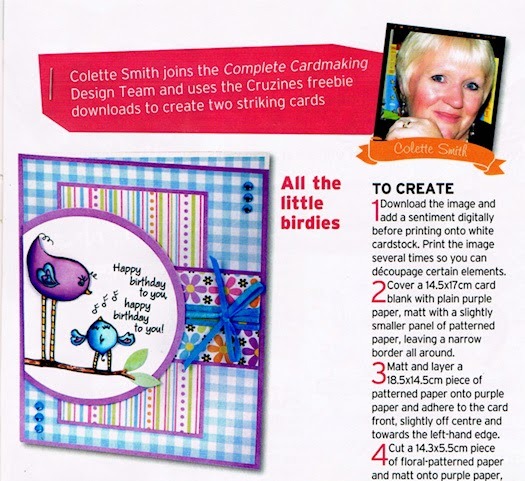 The lovely Colette Smith, shown in the little photo, above (Page 33 of the magazine), is the designer of the beautiful cards made using my Crudoodles Free Digital Stamps. 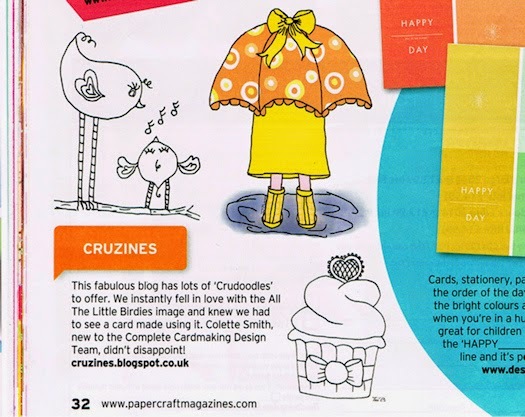 You can see the Cupcake Card HERE and the Birdies Card HERE . 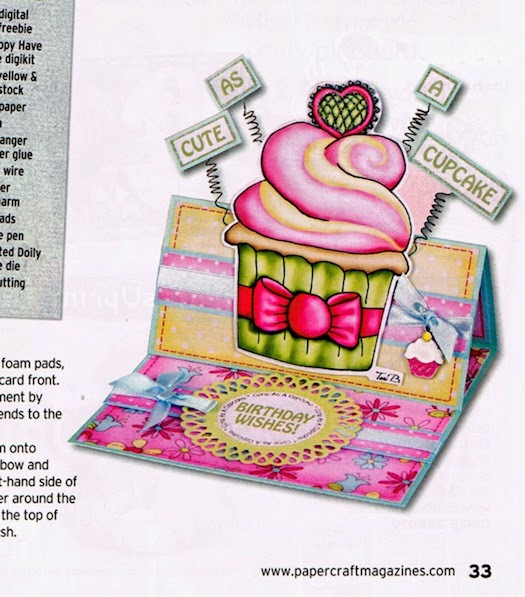 Of course, I have to have a copy of this issue of Complete Cardmaking, and not only because of my feature but because it looks amazing and there is a cd rom included filled with lovely little extras. There are many other Crudoodles for you to discover, so please feel free to stay awhile and browse, and I invite you to follow me so you won’t miss new Crudoodle Free Digital Stamps when they are released. Posted in artist feature, Tori Beveridge and tagged card making, Complete Cardmaking Magazine, Crudoodle, Cruzines, digi stamp, digital stamp.